German cable and cable harness manufacturer Leoni has completed and inaugurated its third Serbian plant in Nis. Harnesses for one of the world's premium carmakers are being manufactured on a production space of 20 000m2. Universal solution for building wire production. Enel is renewing its commitment to the ABB FIA Formula E Championship, becoming the Official Smart Charging Partner and Official Power Partner for the next five seasons of the electric street racing series. The announcement was made today by Francesco Venturini, Head of Enel X, the Enel division dedicated to innovative products and digital solutions, and by Alejandro Agag, Founder & CEO of Formula E, at a press conference held at the media centre for the CBMM Niobium Rome E-Prix presented by Mercedes EQ. The US Department of Energy (DoE) has withdrawn from a 2016 agreement to partner in the development of Plains & Eastern Clean Energy (PECL) Project proposed by Clean Line Energy (CLE), owing to the substantial opposition being faced by the project from landowners in Arkansas. Further, the project had also failed to secure a contract from the Tennessee Valley Authority (TVA) to buy the wind energy it would transmit. TVA stated that since its commercial customers are more interested in solar power generated locally, it does not see a need for wind energy from the project. Hengtong Rus LLC invites to visit the SVIAZ 2018 exibition. April 24-27, 2018 in Moscow, we invite you to participate in the International Exhibition for Information and Communications Technology SVIAZ. Italian electricity transmission system operator Terna has said it plans to complete the laying of the power transmission cable linking Montenegro to Italy by the end of 2019. 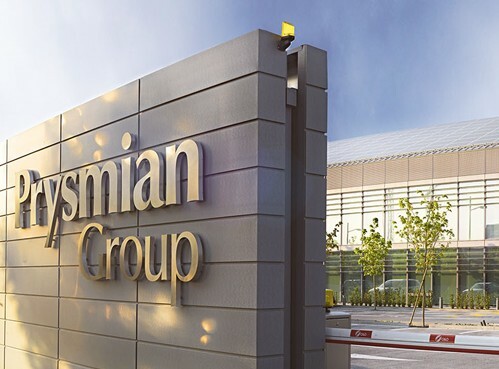 Prysmian Group, world leader in the energy and telecom cable systems industry, has been awarded Ч as lead contractor in the Temporary Association of Companies (RTI) involving CEBAT S.r.l. and Elettrovit S.r.l., which will carry out the civil engineering installation works Ч a framework contract for the supply, installation and emergency repairs on 220 kV cables with the Italian transmission system operator Terna, through its subsidiary Terna Rete Italia, to upgrade the national power grid.